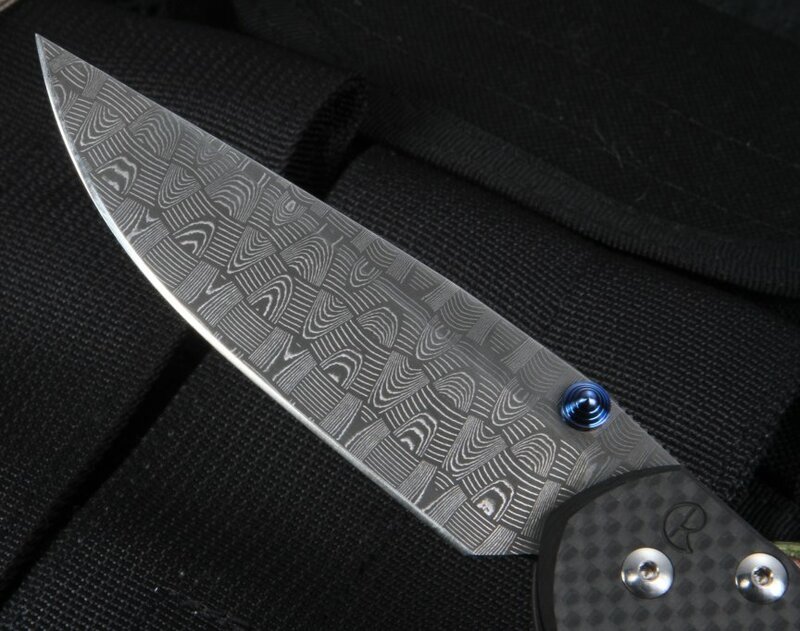 KnifeArt.com is excited to introduce an exclusive carbon fiber handle scaled, stainless Devin Thomas basket weave pattern damascus bladed sebenza! 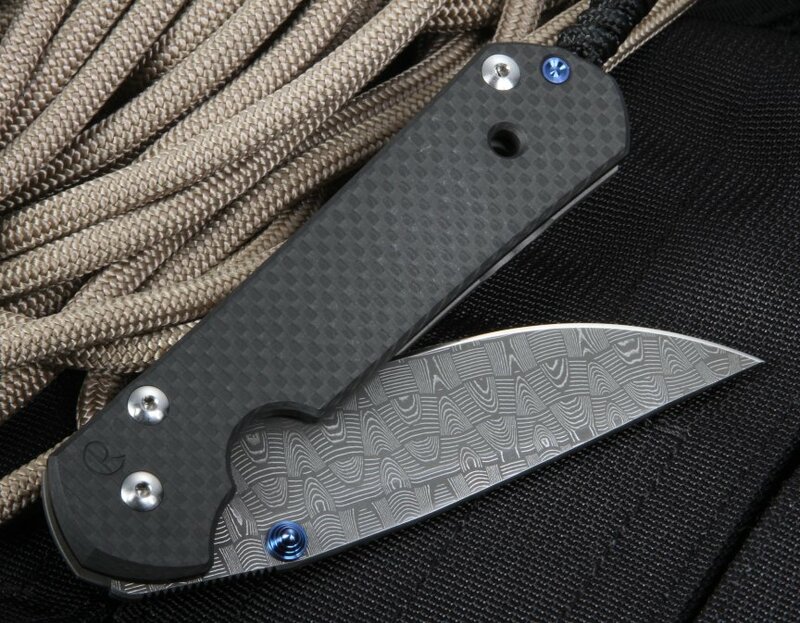 The Carbon Fiber Sebenza is a standard Sebenza 21 with a side of black weave carbon fiber handle on the front - with a full integral lock titanium on the locking side. This reduces the weight significantly, without compromising on the strength. 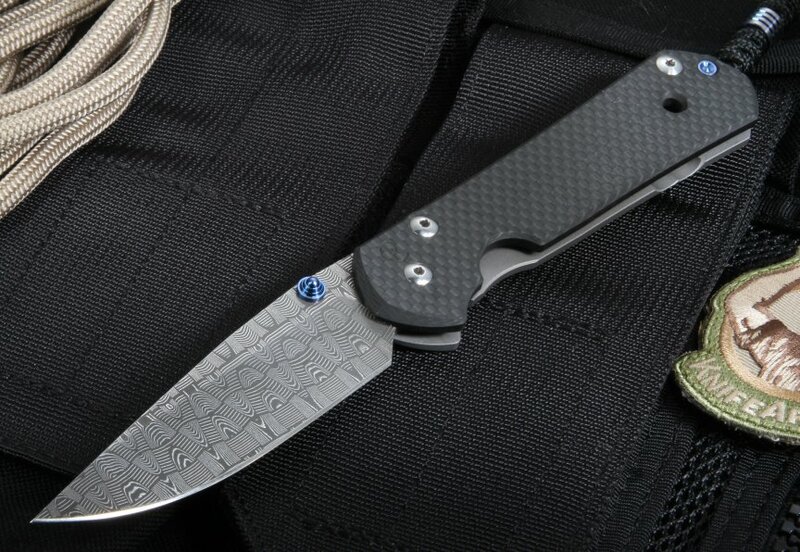 The carbon fiber and damascus sebenza is bank vault solid. This is a knife that really needs to be held to be appreciated. It is lighter in the hand - yet the carbon fiber is incredibly rigid and true. Chris Reeve Knives fully machines and laps the lightly textured carbon fiber scales to make sure the tolerances are up to their high standards. The stainless Devin Thomas Basket Weave pattern damascus blade matches up great with the carbon fiber handle scale. Blue anodized titanium thumb stud, lanyard bead, and lanyard pin spacer. Extremely smooth opening and closing. This is my 1st CRK knife. I have many custom fixed knives even one with Devin Thomas Stainless Damascus blade. This knife is just dead gorgeous. The Damascus is great. Like the carbon fiber side. The knife blade is centered in the body. 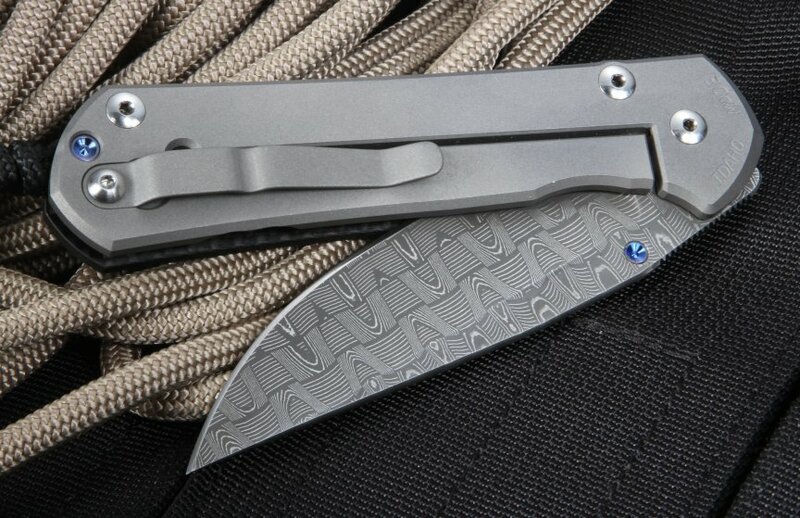 Just very high end fit and finish by CRK. Knifeart was good with shipping. Will buy another CRK soon. If you only could have one pocket knife, this might be the one to get. I got it just to have. I've wanted a Sebenza for awhile and when I saw this beauty with the Damascus blade and Carbon Fiber on the handle, I didn't think twice about it. I haven't used it much yet, I have many knives, but I will be using it plenty, I'm not worried about messing it up, this thing is made to be used, not just looked at. Many other knives are easier to open and close but there is just something about the way a Sebenza feels in your hands that is so nice, strong, well built. It just seems to be the right combination of materials coming together for the perfect little pocket knife. I have many Benchmade knives and this one is a nice contrast to all those Axes lock, beautiful knives. Helps round out my collection for sure and I don't think any serious collector should be without a Sebenza and if you can get a souped up one, you will like it even more. I think the Axes locks of Benchmade are a better, more modern design, but this Sebenza frame lock is fine in it's own way. I wouldn't want ten knives with frame locks but for one or two, I don't mind at all. You can probably get a cheap China copy of this but it's not the same experience of ownership, not at all. This knife is not for everyone and is pricey but if you have the cash and you like great knives, then get it, it's the last year you can buy new ones. So so good; I think I'm going to buy another so I can use this one. Fit and finish is superb as are all my CRK's. Thanks for an awesome combo! This is my first sebenza and it is everything I was expecting in a knife. Solid lockup, good jimping. The blade is extremely sharp out of the box. 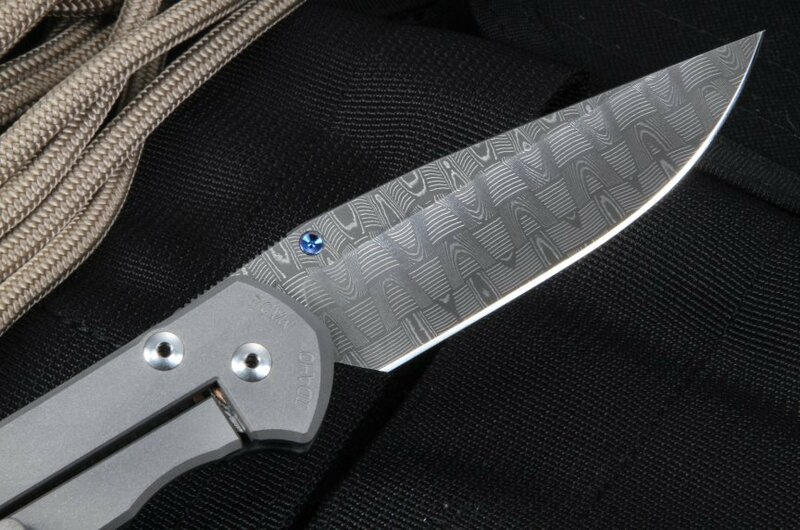 I really like the Damascus Pattern. When I can afford another Sebenza, I will buy it at KnifeArt..com. I ordered on a Thursday and received it on that Saturday. Thanks again.